About 75 percent of homebuyers said that access to excellent schools was important in their search. Nearly 80 percent of buyers gave up some home features to land in their preferred school district, with about one in five sacrificing a garage. Palo Alto is home to the top-ranked school district and high school in California this year and also claims America’s best college. 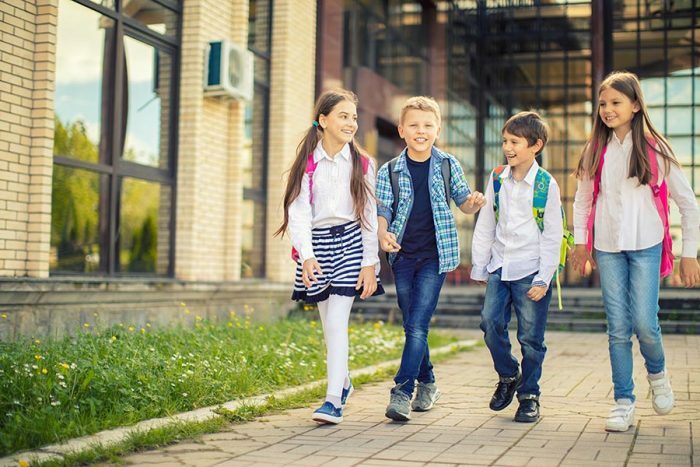 Purchasing a home in a good school district has always been a high priority for buyers who have or want children, and recent survey results show just how much a neighborhood’s educational pedigree matters. Nearly three-quarters of successful homebuyers said that the quality of the school district was either important or very important in their purchasing decision, according to a realtor.com poll and an accompanying analysis by company Chief Economist Danielle Hale. About the same amount — 78 percent — sacrificed some features to score a home in their desired school district. Although a separate survey conducted by realtor.com earlier this year found that a garage was the No. 1 home amenity, 19 percent of buyers gave up that essential to gain access to an excellent school district. Eighteen percent sacrificed a large backyard, 17 percent gave up an updated kitchen and additional bedrooms, and 16 percent were willing to forgo an outdoor living space. So what criteria defines a good school in the eyes of homebuyers? For 59 percent, test scores are the most important thing to look for. Next on the list are accelerated curriculums (53 percent) and music programs (49 percent). The analysis also examined the most popular schools in every state based on 2018 search data from realtor.com. In California, the most searched elementary school is Cordelia Hills Elementary Hills in the Solano County city of Fairfield. For high schools, buyers are performing the most searches for Clovis North High School, located on the outskirts of Fresno. Excellent educational opportunities are one of the reasons that Silicon Valley remains such a sought-after — and expensive — destination for California homebuyers. Earlier this year, Niche.com ranked school districts in Palo Alto, Los Gatos, Saratoga, and Mountain View as the best in California. Palo Alto’s Henry M. Gunn High School ranks No. 1 in the Golden State, while Stanford University is at the head of the class on Niche.com’s 2018 list of America’s best colleges. But buyers who are intent on providing their children with a top-tier Palo Alto education will need to dig deep to pull it off. According to MLS data, the median price for a single-family home in the Santa Clara County city in the second quarter was $3.2 million, a year-over-year gain of 21 percent.